A Chinese man who spent $40,000 to book four IMAX cinemas on the first-day showing of the Hollywood blockbuster "Transformers" last week (Fri 27) has given the big screen movie operator an unexpected public relations mileage in China. The unidentified man claimed he did so to prove to his former girlfriend she was wrong to dump him for being poor seven years ago. "Hu Xiaoyun: I was so poor when we were in our fourth year at college in 2007 that I could not afford just two film tickets," the man said in a posting on Sina Weibo - China's Twitter-equivalent. As evidence he posted the contract with a booking agency and three receipts worth 250,000 yuan ($40,000). In his post the man – who has only been identified in Chinese media reports by his surname – Wang said he had been "working hard" for the past seven years and today I spent half my monthly income to book all the seats in Beijing's IMAX cinemas on June 27." "I just want to say maybe your choice back then was wrong." Using the online handle Chicken Run 1234 he called on Internet users to spread the message "until she sees it" and promised to reward reposters with free tickets. They quickly ran out, and his message had been reposted more than 110,000 times by Friday. This publicity comes at a time when IMAX Corp. plans to sell a 20 percent stake in its Chinese business. CEO Richard Gelfond recently announced that investment fund China Media Capital and private-equity firm FountainVest Partners would pay $40 million each for 10 percent stakes by early 2015. He said the deal gives IMAX local partners expansion opportunities. China is a critical growth market for IMAX and is set to become the company's largest market, as it plans to open more than 237 screens in the next five years, adding to its current 173. The company also has aspirations outside of the theater and is planning to sell by 2015 IMAX at-home theater units made with a television maker. 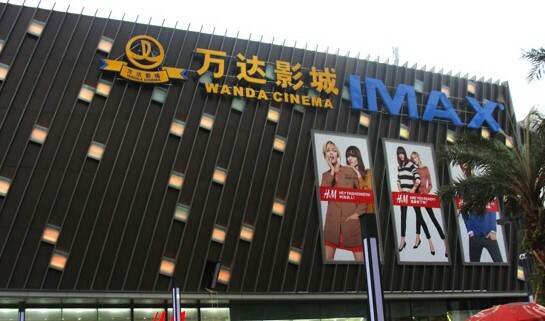 IMAX's revenue in China last year grew 26% to $56.5 million from 2012.